You want to visit, but where will you stay? There's the hotel, the caravan park, the Crossroads Cabins, and there's always the people you might be visiting! 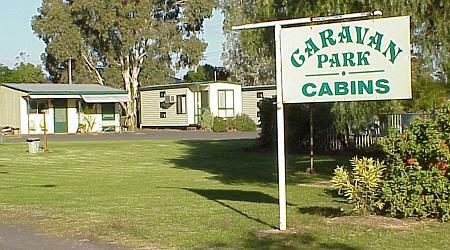 The caravan park has four cabins, two of which have ensuites, and grassed areas for tents, caravans and camper vans. There's also a pool. All cabins have reverse cycle air conditioning, kitchenette with microwave, all linen included, electric blankets on double beds. The ensuite cabins also have a shower and toilet. The caravan park is pet friendly and has a dog run. Pets are allowed in one basic cabin. Also available to guests at a very reasonable fee is 'Doggy Day Care' where pets are cared for in day pens/yard allowing their owners explore the surrounding area. 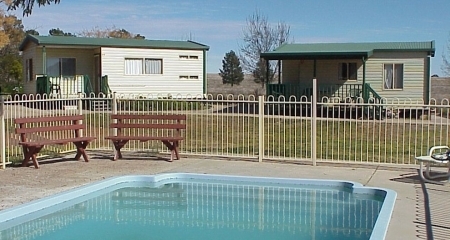 The caravan park takes bookings on 61 2 6848 1133 or e-mail tcp@tooraweenahcaravanpark.com. Check www.tooraweenahcaravanpark.com. 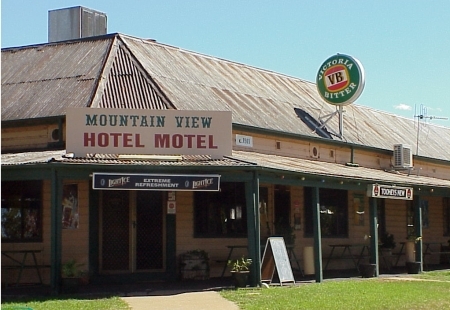 The Mountain View Hotel/Motel is one of the social hubs of the community, and has three motel rooms separate from the main building. The air-conditioned hotel offers evening counter meals, function room for meetings and parties, and of course, excellent beer! Call them on 61 2 6848 1017. Crossroads Cabins on the Newell Highway, 4km south of Tooraweenah. Five self-contained, air-conditioned cabins, with pool, barbeque and kiosk. Phone 61 2 6848 1186. If you're visiting friends up here, ask them who they recommend, or even if they have room for you.